The Quebec Produce Marketing Association was founded in 1947. Today it includes 450 members representing all areas of activity relating to fruit and vegetable marketing.The QPMA is managed by a board of directors, whose 21 members are elected annually. The Quebec Produce Marketing Association history continues to grow and change with the times. Here are some of the major events and developments of the past seven decades. An umbrella organization is formed to protect the interest of Quebec distributors.The newly founded organization is called the Quebec Fruit and Vegetable Wholesalers Association (1947). J. L. Émile Blais is elected first chairman. A $12,000 investment in Salad Month generates $750,000 in free publicity. Constitution amended to allow associate members. Léo Dery becomes secretary of the Association. Association membership becomes broader and more varied as more companies join. The Association is represented on public advisory committees. Annual Convention,Yearbook and Salad Month provide new sources of funds. Maurice Giroux becomes QPMA permanent secretary treasurer and Jocelyne Piché is hired as secretary. The “3 and More Club” for recruitment and the “Pillar of the Industry” award are created. 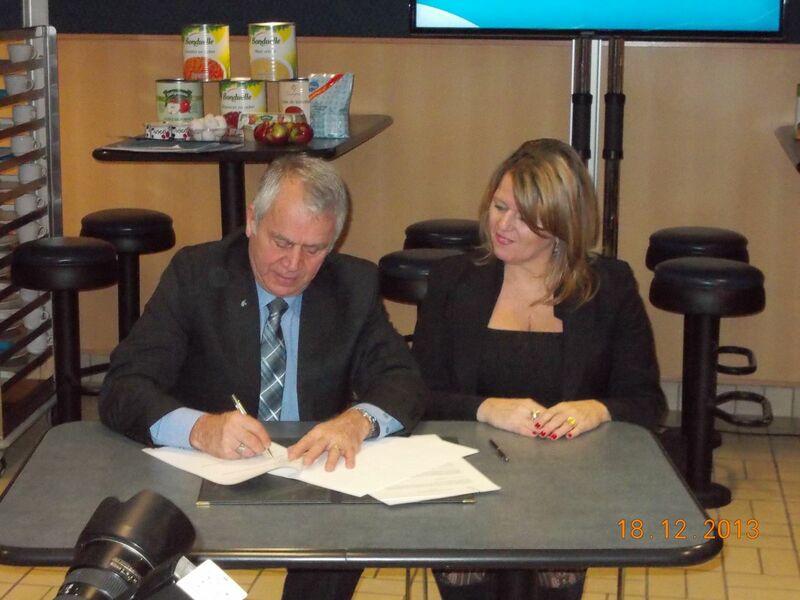 The association is renamed the Quebec Produce Marketing Association (QPMA). QPMA makes significant contributions to the Canadian Produce Marketing Association (CPMA) promotional campaign “Reach for it” (1999), which is re-named “5 to 10 a Day” – Are you getting enough? QPMA Newsletter is created for members. QPMA renews its association with the Super Salon de l’Agriculture (SSA). QPMA is repositioned with revised goals and objectives (1995). The position of general manager is created. Improving visibility for the fresh produce sector through major advertising campaigns, consistent presence in the media and participation in industry tradeshows and events for the general public. Worked with industry partners on shared efforts to meet the challenges of food safety, traceability, harmonization of standards, and various certifications. Launch of the “Cultivating the Next Generation” program in 2012 to ensure a stable future and succession in the industry, including promotion of community engagement. The program is designed for successful candidates 35 or younger to serve an internship with the QPMA. Signed a cooperative agreement in 2013 to coordinate the efforts of MAPAQ with those of the QPMA for the purpose of implementing joint initiatives in promoting and marketing foods made and grown in Quebec to the public and private institutional sector. Resulted in five actual projects managed by the QPMA and funded by MAPAQ. Participation in consultations with the Canadian Food Inspection Agency (CFIA) in efforts to modernize its legislative framework and make the law more adaptable to the commercial realities of the produce industry. Collaboration with the Canadian Horticultural Council, the Fruit and Vegetable Dispute Resolution Corporation, and other stakeholders to introduce a bill in Parliament to create a limited deemed trust protecting vendors of fruits and vegetables. Ongoing efforts to persuade the United States to restore Canada’s preferential access to the US Perishable Agricultural Commodities Act (PACA), rescinded in 2014. Revision of the QPMA organizational chart to include sectorial committees, making it possible to obtain more input from members in different sectors on issues of interest. Confirmation of the leadership role of the “I love 5 to 10 servings a day” campaign. Many organizations in the sector have joined the campaign and are sharing in its content and funding. The campaign has become more interactive with the spread of the “I Love” contest featuring members’ own initiatives, the launch of a website for consumers, and through social media (Facebook, Twitter). Development of closer business relations with food service professionals and with the hotel, restaurant, and institutional sector (HRI) through various initiatives, including creation of the fraicheurquebec.com website and a partnership with the ITHQ for conferences on produce, a competition, and scholarships for future chefs. Amendment of the position of executive director for greater emphasis on the importance of the public affairs, government relations, and lobbying components. The position is now that of president and chief executive officer. Development of greater strength as a force for influence and action with government authorities for the advancement of priority issues, making the QPMA recognized as a preferred, credible negotiator that can convey member concerns and offer solutions. Organization of our first lobbying activity at the Quebec National Assembly, in 2016. Launch of the Next-Generation Network in 2017. The network groups together all QPMA members 18 to 35 years old to better meet the needs of this membership category by organizing various dedicated activities.